I've been enjoying the dry roads a bit and blasting along happily, getting used to the car and what it can do. I have a super annoying squeak on the clutch pedal that I'm going to have to do something about. Anyway, the reason for posting, I have size 10.5 feet, so not huge. I find my trainers catching neighbouring pedals, and to park my left foot on the rest, I have to "dodge" the clutch pedal. Is this something you just get used to, or am I missing something? Aw, didn't see this until now sorry. I was there for a couple of hours at lunchtime. It was absolutely rammed! If the forecast is right and this fog burns off then I'll be heading Bournville to Caffeine and Machine later. Happy to vary the route to meet others, or see people there. Just been down to Caffeine & Machine, near Stratford for some lunch. They've been open since October but I only just found out about them. http://www.caffeineandmachine.com/ Absolutely superb. My 99 Elise was one of the least interesting cars in the car park. Several other Lotus there, all newer, including an Elise S3. Were those anyone on here? Would be a great location for a South Midlands meet. Two S1s on the front at Caffeine & Machine on Saturday afternoon. The purple is mine, is the owner of the silver one on here? We said hi, if you remember. So yesterday I got rid of the (almost) original Pirellis on my 1999 Elise S1, the oldest one was 19 years old 😮 After reading everything I could find on here and on seloc I decided on a set of Yokohama AD08R in the larger 195/50/15 225/45/16 sizing. Based on more reading on tyre pressures I've set them at 23psi and 25psi cold. (Jefferies Tyres, Bromsgrove, £340 for all 4 fitted and balanced) The car is transformed — absolutely solid, much smoother ride than before and soooooo much grip. I drove it across from South Birmingham to Warwick around the lanes, even with the road being greasy and wet I couldn't upset things. I tried a couple of emergency stops to get a feel for things and couldn't get anything other than a totally reassuring straight line stop with no lockups. Driving home in the dark and the rain was a little more stressful, not because the car or tyres did anything unexpected, but because I'm new to this. I did arrive at some bends that were tighter than I expected going faster than I would have liked and, well, the elise just went round them. No drama. 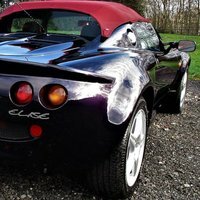 As a newbie to the Elise I just want to say a huge thanks for the forums and wikis and everyone's contributions — it's so helpful! I've just bought my first Lotus, a 99 Lotus Elise S1 with just 20k miles on it. What do you wish someone had told you when you got your first Lotus? Hit me with your best advice, tips & tricks, and warnings! Follow up - the Bosch SP23 fits once you're removed to hook adapter. There are three holes remaining once the adapter is removed. One of them is off-center and is a perfect fit for the S1's retaining pin. @Lithopsian Your description was perfect, I've ordered a Bosch SP23 after looking at the images. Thanks, that's what I'll be doing when I buy a set. Ok, great, so I'll decline and look for a better option. I have a completely unspoilt dash, as it came from Hethel, not even a stereo. 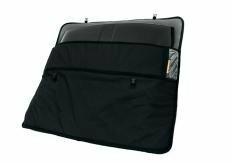 I need some inspiration for securing a phone (for satnav etc) Please post shots of your best solutions for inspiration. @AlanS1 do they mark the dash at all? I'd be worried about it leaving an imprint. OK, done some reading around those. 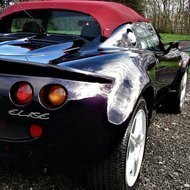 This is a 1999 Elise, so I think that's after they stopped fitting the MMCs and the discs hold a magnet, which suggests they're not the aluminium-ceramic of MMCs? I think they're the cast iron OEM discs.